Alimony was created by the courts to provide for homemakers and severely disabled people in the event of their divorce. In a typical scenario, the supporting spouse (the spouse with a steady income) will give a certain court-ordered amount of money to the dependent spouse, either in a lump sum or through monthly payments. However, the law recognizes that this arrangement is not always fair. A person’s behavior during a marriage can affect nearly every arrangement made during the divorce, including alimony. If your spouse failed to honor the terms of your marriage contract, or if you have been accused of doing so, you will need qualified legal representation. Call Raleigh marital misconduct lawyers [firm-name] at 919-833-1040. When two people marry, they take on the responsibility of treating one another respectfully. 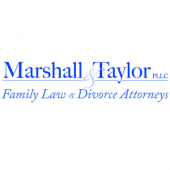 Marital misconduct occurs when one or both parties fail to meet that responsibility. Examples include drug or alcohol addiction, abuse, or adultery. Any of these could potentially be considered by a judge when he or she makes a decision about alimony. However, illicit sexual behavior is the only form of marital misconduct that judges must, by law, consider when making alimony arrangements. Illicit sexual behavior is a legal term encompassing any kind of sexual acts performed with a person other than one’s spouse after marriage and before separation. The supporting spouse has committed adultery, in which he or she must be ordered to pay alimony to the dependent spouse. The dependent spouse has committed adultery, in which case he or she must not be awarded alimony. Both spouses have committed adultery, in which case the judge may award alimony or not according to his or her best judgment. There are many other factors that may influence the judge’s decision, such as whether the adultery was forgiven by the offended party. The support of a qualified Raleigh alimony attorney is important during this complicated stage in a divorce proceeding. Raleigh marital misconduct lawyers [firm-name] can provide the insightful legal assistance you need in your divorce proceedings. Contact us today at 919-833-1040.